Alfonso de Borbón y Battenberg and Edelmira Sampedro y Robato. The twenty-first century, up to now, has been crucial for Latino Literature. The second decade of the century, which is not over yet, has become the timeframe of the New Latino Boom, as I like to call it. 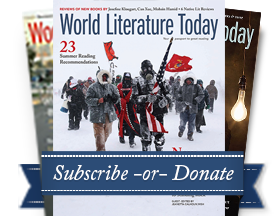 The editorial world focused on Latino literature in the United States has expanded and, therefore, we have seen a rise in the publication of works written in Spanish. We already know the cases of Suburbano Ediciones, Sudaquia Editores, and Ars Communis, publishing houses that thrive on Spanish-language literature written in the United States. We find ourselves faced with young adults at the peak of their narrative production; authors who might be new to United States audiences but who have a solid trajectory established in other countries, or writers who have started writing and publishing in the United States and in Spanish. We can even identify a series of meeting points to chat, drink coffee, present new works, and participate in salons and conversations. For example, in the specific case of Miami, places like the Books and Books bookstore and, more recently, Altamira Books, the Koubek Center of Miami Dade College, and the Spanish-language section of the Miami Book Fair International, among other spots, are giving the city an infrastructure to help develop literary and artistic exchange in Spanish. Given all of this, it is interesting to consider the careers of authors who are well established within Latino literature, such as Roberto G. Fernández. His latest novel, El Príncipe y la bella cubana: Los amores de don Alfonso de Borbón y Battenberg y doña Edelmira Sampedro y Robato [The prince and the Cuban beauty: the loves of Lord Alfonso de Borbón y Battenberg and Lady Edelmira Sampedro y Robato], published by Editorial Verbum in 2014, was written in Spanish, save for a few instances of English and French accenting the passage of certain characters through different countries. Nevertheless, as Efraín Barradas suggests, “Fernández is a very special case because he’s a chameleon-like writer, since, although some of his pieces are written in English [...] and must be read as part of the Cuban-American canon, others don’t fit so easily into that context.” I propose to observe elements such as the language of the novel, the place of publication, and the fact that Fernández breaks with his literary tradition by writing about historical characters while simultaneously fictionalizing said characters, consciously distorts history, and even incorporates key characters from his previous canonical novels, in order to identify the effect this may have within studies of Latino Literature. Roberto G. Fernández is a major figure in this field. His book Raining Backwards (1988) is one of the iconic novels of Cuban-American literature. The nostalgia and memory of the Cuban-Miamian subject are key elements of this work, just as in others from the same author that follow their example. Fernández has also been characterized by his impeccable mastery of the simultaneous use of English and Spanish. Phenomena like code-switching and linguistic calques are common in his work and have been objects of study. On the other hand, this Cuban-American author has also become famous thanks to the parody, exaggeration, and heteroglosia that stand out in his texts. For these reasons, I think it is essential to undertake a detailed reading of his latest novel, El Príncipe y la bella cubana. When I interviewed the author, I asked him why had had decided to write this novel predominantly in Spanish and if he had plans to publish an English-language version. He responded: “I thought that, because of the subject, it should be written in Spanish. I don’t think the subject would interest an English-language reader.” For Fernández, there is a direct relationship between the subject of a novel and the language in which it is written. Similarly, he claims he first wrote the novel and then thought about the publication process, deciding due to the subject to send it to Spain instead of seeking publication in the United States. Edelmira Sampedro y Robato (1906-1994) was the daughter of Luciano Sampedro and Edelmira Robato. [...] Her father was one of the magnates of the Cuban sugar industry and, therefore, he was able to send her to Lausanne, Switzerland, where she was treated by a specialist due to fears that she suffered from tuberculosis. She lived there for a short time with her mother and her younger sister, and there she met Alfonso de Borbón y Battenberg (1907-1938), Prince of Asturias and heir to the Spanish throne, who, exiled after the declaration of the Second Republic in 1931, was also undergoing treatment in Switzerland for his haemophilia. They fell in love, they were married against the wishes of the Spanish royal family, they briefly passed through Paris and New York, and they ended up in Cuba, where they suddenly separated and divorced. [...] After the divorce, Alfonso married another Cuban woman, Marta Esther Rocafort (1913-1993), whom he also divorced after a few months. Not long after, the prince died due to internal bleeding caused by a car accident that took place in Miami, where he was buried and where his body remained until 1985, when it was re-interred with military honors in the Pantheon of the Princes of El Escorial. My sister had put on her chulapa and I my bata habanera with the waist well cinched and petticoats well secured, ending in a spectacular train. Then mamá wanted to make adjustments to the neckline, but my sister dissuaded her. I accented the dress with a hibiscus I had cut from a vase in the dining room and not with the silk orchid my mamá would have liked. “Mirta María Vergara, nice to meet you,” said the woman, dressed in a trousseau inappropriate for her age with her head crowned with curlers. “Nice to meet you,” I said out of obligation, sticking my hand in my bag but not finding the key, which was lost down some rabbit hole. The same thing happens with Barbarita. Edelmira feels scorn for her but, due to her manners, treats her courteously. Barbarita does not only enter into the plot and the romantic narrative that the author had established in the first part of the book; she also interferes and meddles in the life of Edelmira, in the life of the real person, the person who tells us of her life with Alfonso. Barbarita interferes in the production of the historical information and twists the results that we await as readers. Edelmira’s role as the narrator, in first person, is what keeps the readers connected to the “truth,” to history. When observing dialogues between these characters, the readers perhaps doubt the authenticity of the story, but they continue to trust in Edelmira as the bearer of true information. The day after that disconcerting experience in the Pepe-Grocery-Bar, I girded my loins to meet with Martin Munro, who I supposed would be working, and I walked to the store in spite of the threatening lead colored sky. Nevertheless, it is precisely through Edelmira, through this instrument that provides Fernández with his new historical novel, that the author maintains the relationship with his previous literary production. Fernández sets about the elaboration of a historical novel based on totally verifiable facts, which is far from conventional. In this way, the author succeeds in establishing said distance and and in differentiating himself from other authors like Mario Vargas Llosa. Perhaps due to the briefness of their marriage, perhaps due to Alfonso’s illness and his incapacity to reach the throne, perhaps due to his early death, perhaps due to Edelmira’s reluctance to give interviews after Alfonso’s passing, perhaps for other reasons of which we are unaware; the fact is that there is not a great deal of documentation of the life of Edelmira, the Condesa de Covadonga, after the divorce. She lived an isolated and quiet life, never marrying again, and she maintained a courteous relationship with the royal family. She was seen going to the airport in Miami when the remains of her deceased husband were moved to Spain in 1985. For this reason, in the specific case of El Príncipe y la bella cubana, we cannot confirm that the inclusion of non-verifiable details is the result of the author’s desire to bring denied or silenced information to light; to date, for example, there is no legal, journalistic, or historical information indicating that Edelmira had a child with Alfonso. Nonetheless, in Fernández’s novel we meet Pío, the fruit of their failed marriage. Pío’s character is very interesting. Or, better still, Pío’s arrival in the world is very interesting. Out of fear that her son will be assasinated as the unwanted heir to the throne, Edelmira, in the novel, decides to give birth in hiding and to give away her newborn. “Don’t you want to give him a kiss?” Yamilé asked me with the child in her arms. “Yes, yes,” were the only words I exchanged with her. I kissed him, but without spilling a single tear. My actions had saved my son’s life. That was what mattered. The world is in contact flux, in constant migration and displacement in all directions. As a result, a writer can live in one place and narrate about circumstances totally foreign to the place where he resides, and still participate in and be a part of that community, which in turn will influence his narrative on his other reality, “the other” place, which at times could become a hyper-reality. Fluidity is the key to our interconnected world. To close my argument, I should say that Roberto G. Fernández is indeed a chameleon-like writer, not only in his use of languages but also in his capacity to enter and/or parody different literary subgenres. Writing a work that aims to be categorized as representative of the new historical novel gives Roberto G. Fernández the possibility to: explore subjects other than Cuban-Miamian reality without totally disconnecting from it; publish through a press that addresses other audiences; enter into dialogue with Latin American and Spanish writers; and continue to form part of the canon of Latino Literature without ceasing to engage in a conversation with Cuban, Spanish, and Latin American literature as a whole.